1. I discovered that every conference goer receives one of these cool RootsTech bags. But I also learned to pack light since it's a long day and all the goodies you collect at the Expo will magically and exponentially weigh more by about 5pm. 2. I learned some new vocabulary, and my favorite new word is “Geneajaunt”- from Australian genealogist Jill Ball. 3. And I learned even more new vocabulary, like “Flying monkeys”- a collective term for all of Thomas MacEntee’s bloggers and followers. Another “new to me” moment. 6. I learned that there are battery phone cases and capacitor chargers to extend the life of your mobile devices at conferences, in the FHL, on the plane with a capacitor that stores energy for hours, or a super capacitor that stores enough energy for days at a time. The battery mobile phone cases double the life of your regular phone battery and the capacitor chargers (also called external battery chargers) can be used on your laptop or tablet. Thank you to Jill Ball from Australia and Marie Doughan from Scotland for introducing these to me. They used them on those long airplane trips to RootsTech. 7. I also learned about the value of Blogger beads- You must wear them everywhere- to the FHL, to restaurants, around town to spark conversation (speak up at the first raised eyebrow) and be prepared with a ten second "elevator" speech and business cards with your URL. These beads are not just a fun accessory; they are a powerful media tool. The blogger bead subtle advertising is so successful that I am going to supply beads at NERGC 2013 in Manchester. 8. Be prepared to hug in the oddest places. Suddenly a complete stranger will come up to you in the restroom, or the elevator, or when you have your mouth full at breakfast and introduce themselves as a blog fan, Twitter follower, or Facebook friend. 9. Also be prepared to act like a complete fool and gush like a groupie when you find out you are sitting next to Cyndi Howell of cyndislist.com or MaureenTaylor, the “Photo Detective”. More hugs usually follow this encounter, too. 11. Another important lesson- If you want to enjoy an adult beverage, be prepared to walk away from Temple Square to other hotels and restaurants. It is still possible to enjoy a lovely evening at the Roof with Pellegrino as the only bubbly in your glass. 12. I discovered the joy of belonging to the Geneabloggers community! Many, many times my fellow Geneabloggers have helped me solve technical problems on my blog, or helped me stop sploggers, or even gently suggested edits and corrections. I've also made cousin connections with dozens of Geneabloggers, and shared lineage information. We find time to share meals, cheer each other on before presentations, and support the newbies. At RootsTech I found time, even with a busy schedule, to return the Geneablogger karma. 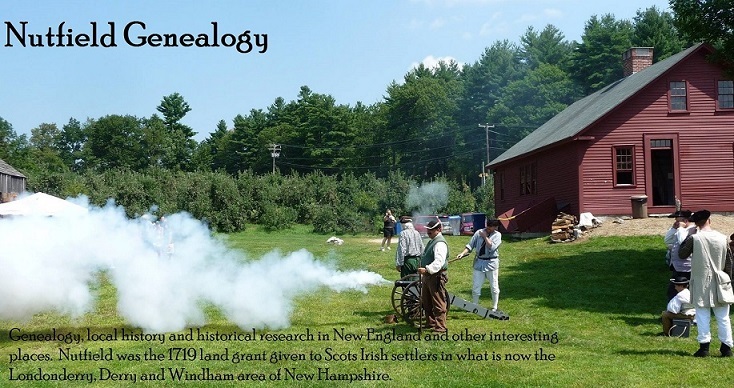 I filled in on a panel that needed an additional genealogist, I found information at the FHL for someone who commented on Dear Myrtle’s HOA video show, and I was able to steer several other bloggers towards good resources for New England research at the Family History Library. What goes around comes around. And it’s fun, too! Great list - I too am thinking about buying something to fix my low battery problem, although like the gadget panel, I feel that's something that needs doing by the industry, not us. And it was amazing how many people told me they had lived in Washington State, so close to my home in Canada, or, of course, been to Vancouver, BC for a cruise or other visit. But the hugs were the best! Thanks for sharing your great discoveries. It sounds like I missed a really good time. What A Hugfest It Was And What A Fab Idea For A Blogpost. Thanks, Heather For The Mentions And Your Support At RootsTech. Thanks Heather for a great blog post. I couldn't have survived without my New Trent high capacity "powerpak" for my iPhone and iPad (the same one that Marie Dougan also bought). I also found that everyone I started chatting to (even in the queue for the ladies' bathroom!) had London (England) roots. Strange coincidences indeed! Looks like you had great fun at RootsTech. The rolling bag is great. There are so many wonderful gadgets out there to make life easier for researchers. The down side is that so many research places won't let you in with them (except maybe a laptop and camera). Wouldn't it be great if we made enough noise that they loosened up a bit and stopped treating research facilities like high security prisons? I agree, Jan, but I was at NARA in Washington just after a famous historian stole some valuable documents. We were all treated like terrorists and photographed, interviewed, tested, scanned, and the serial numbers of all our cameras and phones were written down. I hope other repositories don't follow suit. It took an hour just to get in and get to work! Re #9: I'm so glad I'm not the only "gusher"! When I went to the Genealogy Event in NYC, I was so star-struck with Maureen Taylor, Judy Russell & Allison Dolan! And thankyou for explaining what the difference in the two different coloured bags were, I was wondering that. So question answered! Thanks! I've been meaning to listen to David Pogue, so I listened to him here on your blog. Very clever and lighthearted! "Geneajaunt" is great! And where can I get me some of them Blogger Beads? So true! Every bit. I told Becky W. we needed to sign up for the roller-tote concession for next year's conference. I'm sure it would pay for our trip - probably even the bar tab. Make sure you and Becky sell those Zuca bags, I really want one. 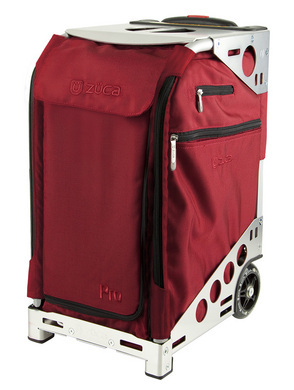 The backpack by FamilySearch with the rolling wheels was also pretty cool, and almost as expensive. If something said "Genealogy" or "GeneaBloggers" I'm sure you'd sell lots! LOL! Catch me on video three times! I found an Irish Ancestor!